80mm Meade APO refractor guided by 10”LX200. Camera Starlight Xpress Trius M25. Processed in Astroart 5 and Paint Shop Pro X4. Image from my home in Andover UK. 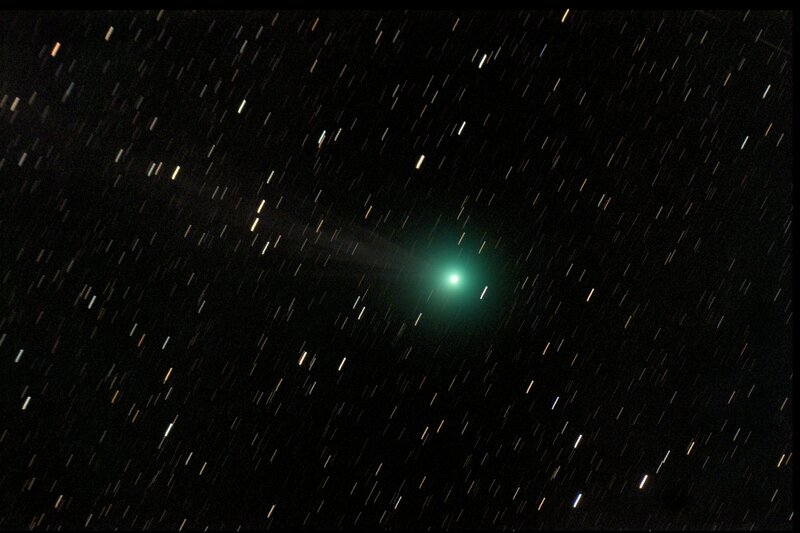 Sum of 15 one minute exposures summed on comet nucleus. Field approximately 2¾ degrees across.